We live in the world where everything is a technology based item/product. Or in other words, we can say that all the items we experience around us are the unmatched gifts of technology. A smartphone is one of the beloved technology for human being. Every different mobile version has a different feature supplemented with it like an AMOLED touch screen, long battery life, HD display and so on. 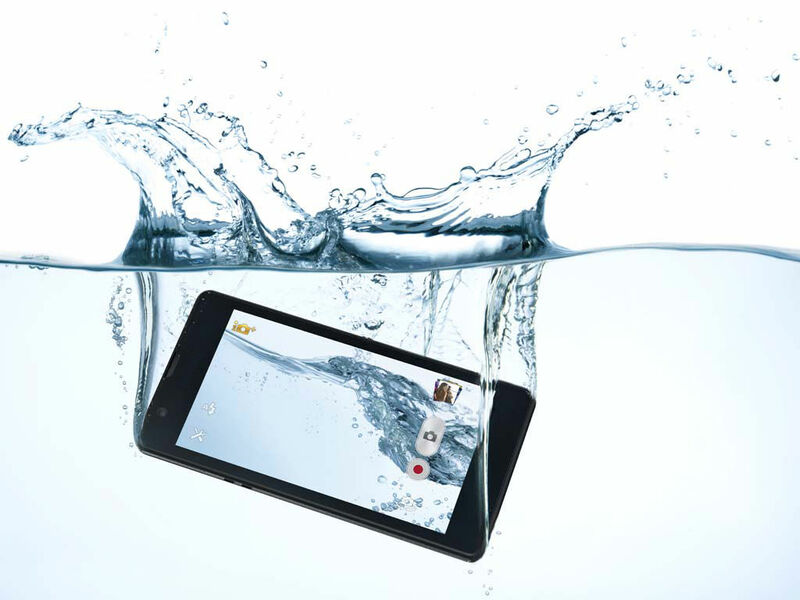 And even few limited smartphone models like Sony Xperia Z2, have been given the power to sustain even in water. But this feature is not common in all smartphones. So, what to do if our smartphone fell into water? This problem is one of the common issue, a human being has faced once throughout his/her life. It’s not always that a mobile will die after interacting with water. There are still chances to get back your phone as it was earlier by following few commands and precautions. So in concern to that, we are presenting few tips to make your mobile alive after getting into the water. Battery Sticker Checkup: As well know that a device is not covered under warranty in case of water immersion. To diagnose whether the water had entered into the back panel, check the battery sticker. Many companies provide a white sticker that changes to pink or red in case of any moisture enter into the phone. Disassemble the Phone: After getting your phone out of water, switch off your phone immediately and dis-assemble your phone. Place your SIM, battery, SD card and mobile on a dry towel or soft cloth. Also remove all the accessories attached to it and expose all the parts of your phone to air. Dry your Mobile: After exposing your phone to air, try to use a hot blower to dry out the phone. But keep in mind that use the blower away from phone as it might cause overheating in the circuit board. Immerse the Device in a Dry Rice Bowl: Keep your smartphone in a bowl full of uncooked rice. You can also use silica gel as an alternate to it. You can use an airtight bag with silica gel in it and then place the phone within that bag. Let the Gadget Switched Off for at least 24 Hrs: It is always suggested to remain the mobile switched off for at least 24 hours. After that, check whether the ports and all other accessories are out of moisture. Assemble the phone and try to switch it on. If it doesn’t get on then remove the battery and reach your nearest service center. So, with these tips you can easily put your mobile alive and retain it for future.